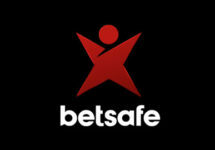 Betsafe – Week 2 Daily Casino Kickbacks! More awesome offers for the new week! We hope you all enjoyed the first week of Daily Kickbacks at Betsafe as much as we did and are ready for a second helping starting today. There are again extra bonuses on winnings, risk free bets, cashback days, mobile rewards and tournaments to look forward to from Monday to Sunday. Not to be missed. Monday: Slots Cash Stack – Play on 7 Sins and receive a 50% bonus on winnings, up to €50. Credited on Tuesday with a 1x wagering requirement. Wednesday – LIVE Casino Risk Free Bet – Deposit and bet on the exclusive LIVE Betsafe Blackjack table minimum €10 and receive a €10 bonus the following day if the bet does not win. 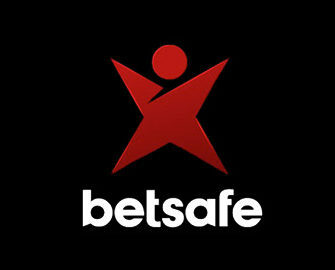 Bonus is credited the following day by 18:00CET and carries a 1x wagering requirement. Thursday: Throw Back Thursday – OPT-IN and wager €50 on Golden Caravan to receive a €15 Bonus the following day. Wagering requirement is 35x bonus. Friday: Lunch Time Power Hour – Take part in the midday 1-hour tournament where the winner will be determined by the highest earnings over 20 consecutive spins on the selected slot. Prizes are credited as bonus with a 2x wagering requirement. Saturday: Mobile Madness – OPT-IN from any mobile device and wager €150 on any mobile slot on Saturday and/or Sunday to receive instantly 50 Free Spins per day and another 20 BIG Spins on Monday/Tuesday by 16:00 CET. All spins are on Gonzo’s Quest and winnings carry a 35x wagering requirement within 3 days.